Tim Tebow, former University of Florida football star and current quarterback for the Denver Broncos, will be available for a meet and greet and book signing on Saturday, June 11th at the East Colonial Drive Barnes and Noble. The event starts at 2:00 PM, but expect long lines to form early. 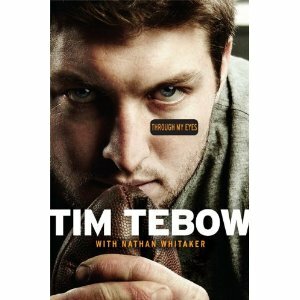 Tebow is promoting his new autobiography, Through My Eyes, a journey through his adolescence in the Philippines as the son of missionaries, college days as a UF Gator football player and on into life in the NFL. During his second year at the University of Florida, Tebow received the coveted Heisman Trophy, a first in NCAA history for any sophomore. He also helped lead his team to two BCS National Championships. After graduation, Tebow was selected in the first round draft by the Denver Broncos. This entry was posted in Calendar and tagged book signings, orlando, sports. Bookmark the permalink.